Infidelity is a common thing, especially in Bollywood and telly land where many celebrities cheat on their partners and fall for other people. Almost every day, we hear about secret affairs outside a marriage or a relationship and all we do is judge the third party involved in spoiling the relationship. Do we ever blame the person who cheated on their partner. Their partners have cheated on them, betrayed their trust, by having an affair outside the relationship. Here is a list of 11 such celebrities from the world of television who cheated on their partners and ended their relationship. 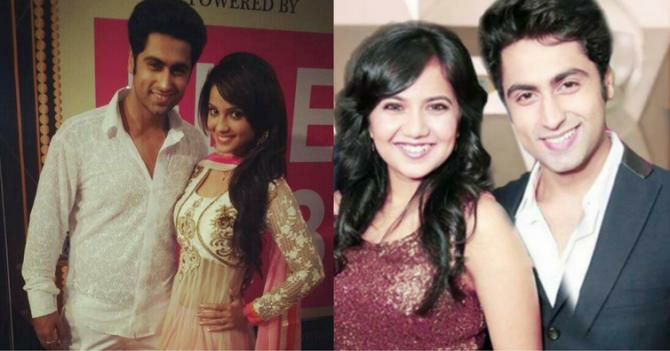 Ankit Gera, known for his role in Sapne Suhane Ladakpan Ke, was dating Adaa Khan when he cheated on her with his co-star, Rupal Tyagi. Basically, the actor was two-timing both the actresses and they eventually got to know about it. Both broke up with him. Adaa, in one of her interviews said that she forgave Ankit thrice for cheating on her. Rupal and Adaa accused him for cheating and breaking their trust. Karan Singh Grover not cheated once but twice. 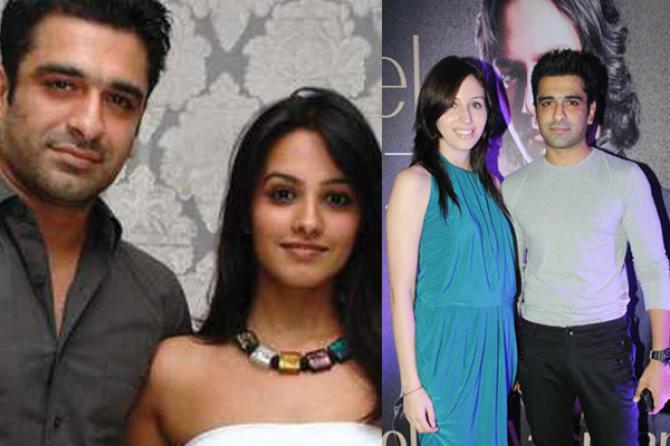 Karan was first married to actress-turned-designer, Shraddha Nigam and it lasted for only 10 months. Shraddha ended the marriage as Karan cheated on her with his Jhalak Dikhla Jaa choreographer, Nicole. Karan didn’t learn from his previous mistakes and cheated again, this time on his second wife, Jennifer Winget with his current wife, Bipasha Basu. Karan Patel is a happily married man today and he is soon going to become a father also. 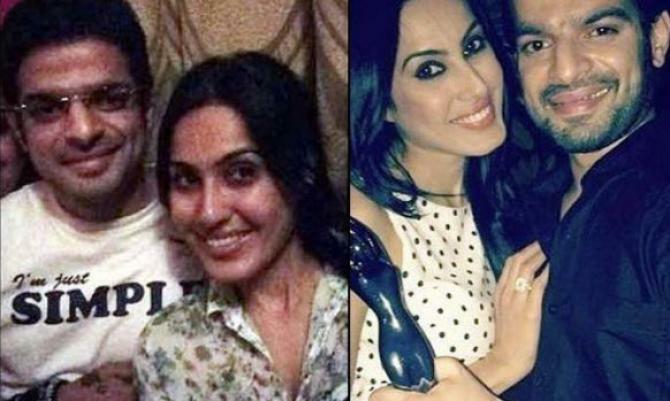 We all know that before getting married to Ankita Bhargava, he was in a very serious relationship with Kamya Punjabi and even promised her marriage. But Kamya was baffled when she got to know that Karan has broken up with her (without informing her) and is all set to marry Ankita, through an arranged marriage setup. He cheated on Kamya and ended up marrying Ankita. These 3 Famous Bollywood Actors Were Goons In Real Life Too! Ejaz Khan, the blue-eyed boy of Indian television, met his ex-girlfriend, Anita Hassanandani, while doing a show together. They both fell in love and soon started dating. Anita and Ejaz were head-over-heels in love with each other and were all set to tie the knot, after dating for many years. But suddenly, the news of their separation came and left everyone shocked. After so many years and Anita being happily married to Rohit, Ejaz confessed on a show that he screwed everything and cheated on her and he will always regret this. After breakup from Anita, he dated Natalie Di Luccio. 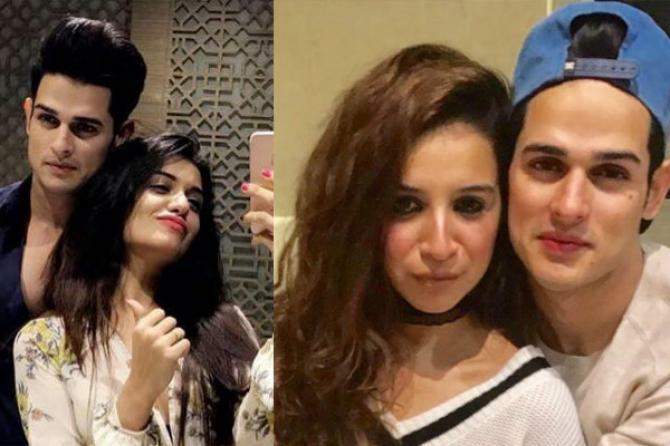 Priyank Sharma became a star overnight, after he appeared on Bigg Boss and had some romantic moments with another contestant named Benafsha Soonawala. When he entered the Bigg Boss house, he was in a relationship with Divya Sharma. But soon, his love for Divya fizzled out and he started bonding emotionally with Ben. Though they called it ‘just friendship’, the fans and Divya could see that they were more than just friends. Priyank cheated on Divya with Benafsha and soon, Priyank and Divya broke up. Divya broke all ties with him on the national television. Many of you will be shocked to see his name on this list, but he cheated on his partner once. So everyone knows that Krushna is happily married to Kashmera, after living-in with her for seven years. The couple became parents to twin boys in 2017, through surrogacy. But not many people know that before Krushna and Kashmera tied the knot, Krushna had a fling with Aashiq Banaya Aapne actress, Tanushree Dutta. When Kashmera got a hint of it, she gave an ultimatum to Krushna and the two soon tied the knot. Avinash Sachdev and Rubina Dilaik won millions of hearts with their show, Choti Bahu. The reel-life couple fell head-over-heels in love with each other and soon started dating. The ex-couple was all set to tie the knot, after they got a heads-up from Rubina’s grandfather, but their fairy tale ended too soon. Trouble brewed in their paradise. It was reported that Avinash’s association with another TV actress wreaked havoc in their relationship. They reconciled for a while after the episode but called off their relationship ultimately.